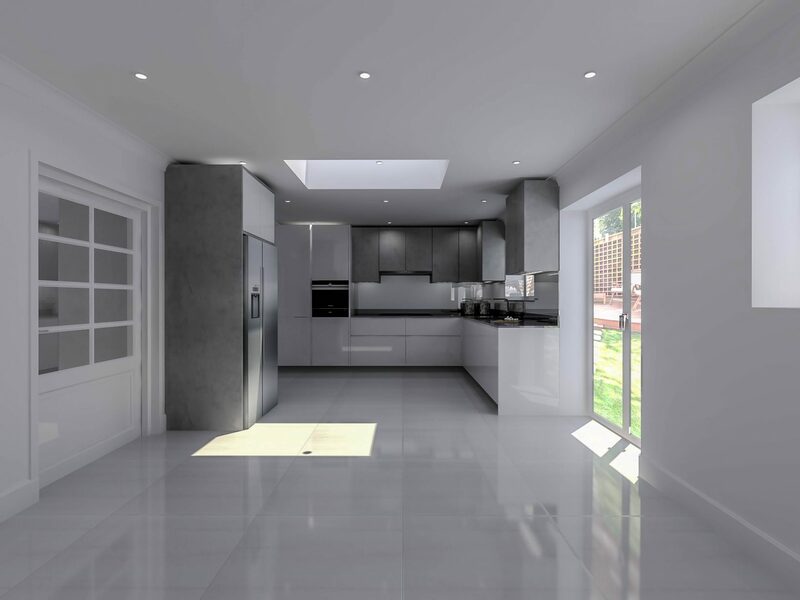 This two tone kitchen concept was designed for a property in Chalk Hill Road, within the Wembley Park area of London. 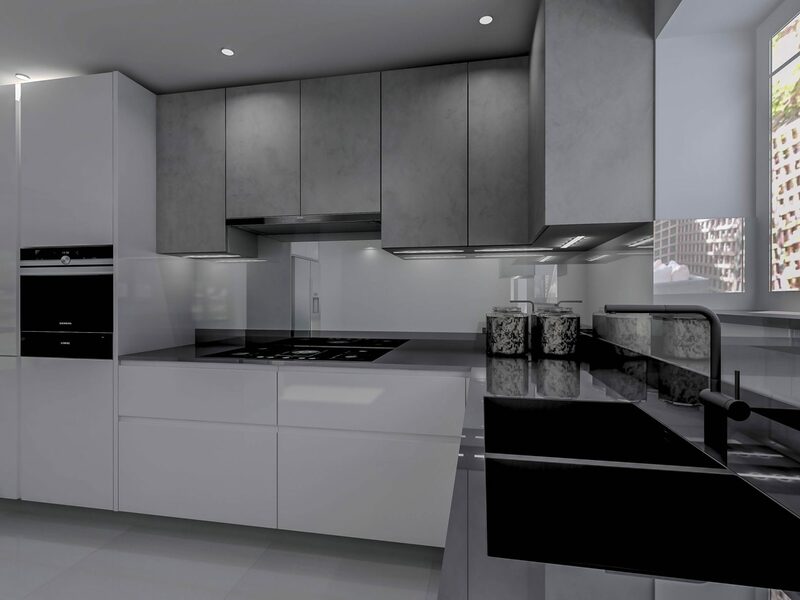 Simplistic yet thoughtful, the white gloss base units are accompanied by a stunningly contrasting grey concrete which marries the two colours together in a way that beholds the prowess of our exquisite designs. With all of our kitchen designs, we strive to go that extra mile and design kitchens from deep within the heart. 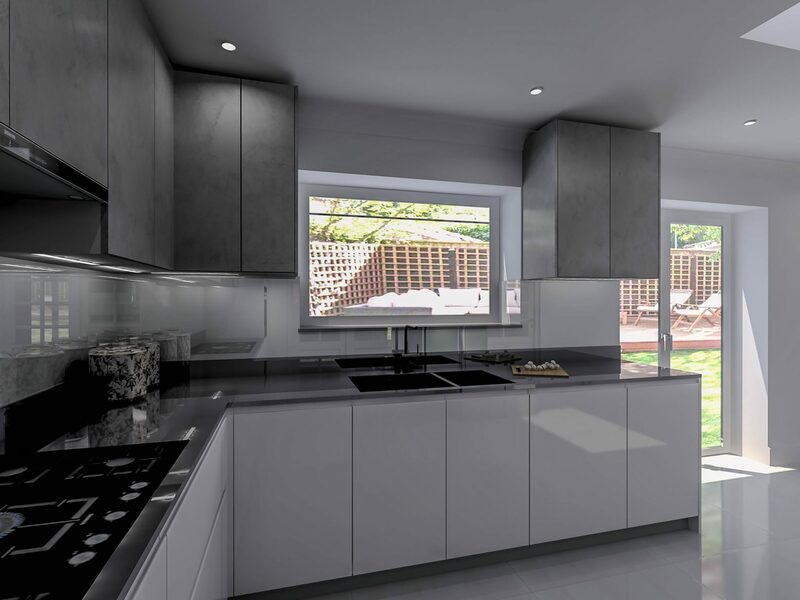 The standalone American fridge freezer is encased in the same grey concrete as the wall units, giving it the feeling of involvement within the kitchen it deserves. 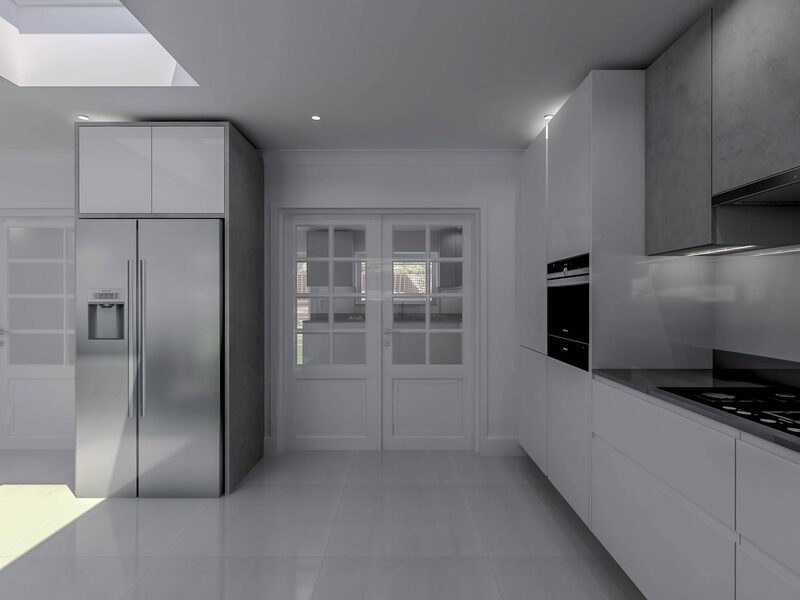 Taking the contrasting effect even further, the white gloss doors of the top box above the fridge freezer complete the contrasting look to unprecedented perfection. With all high quality kitchen designs, there most certainly has to be a high quality work surface, none more so than Silestone’s stunning ‘Marengo’ quartz. 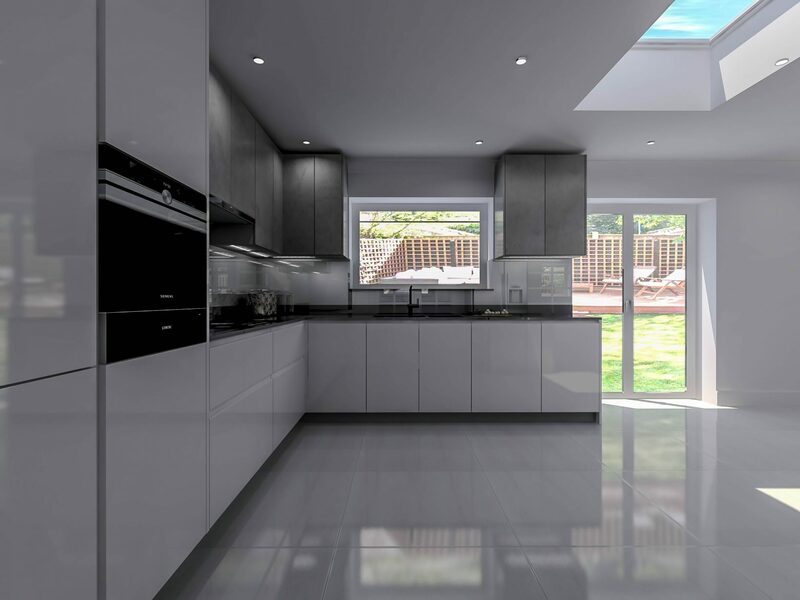 This Onyx shade of black works so remarkably well with the two contrasting tones of the kitchen that one would not be punished for assuming they were made for each other. 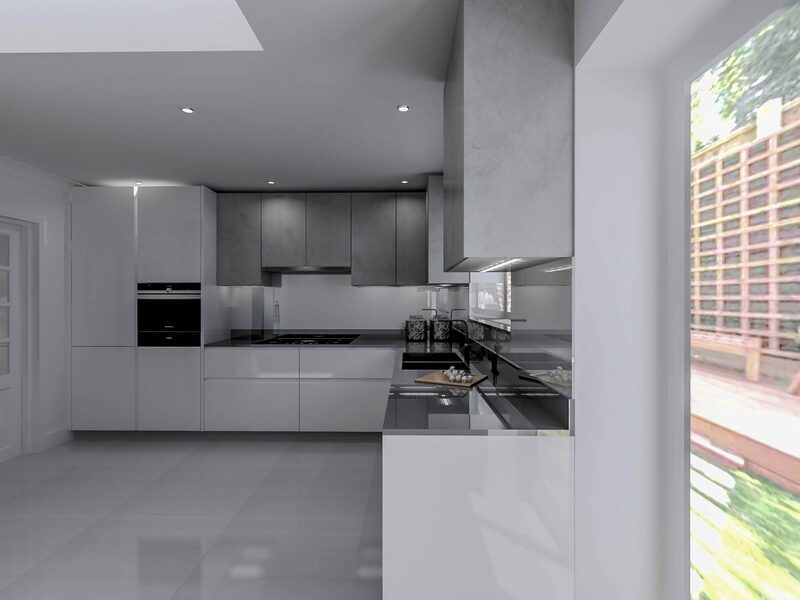 Without any shred of doubt, the most favourable and requested addition to today’s modern day kitchens is the use of glass. 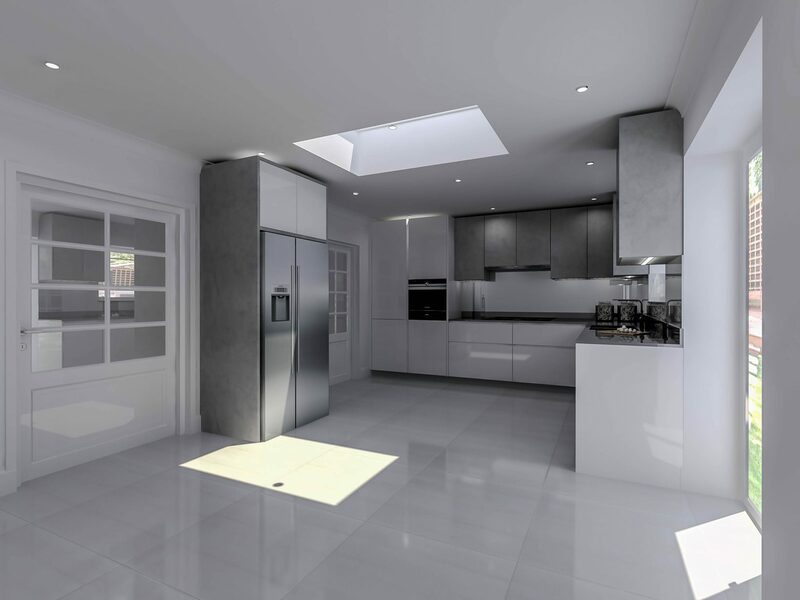 Of course we here at Silke only collaborate with the best of the best, and that means working closely with Decoglaze of Brentford. Glass has the versatility to transform any kitchen in to the most special of places. With the vast variety of colours available, including the extremely popular mirror, no kitchen shall need to be left without glass. 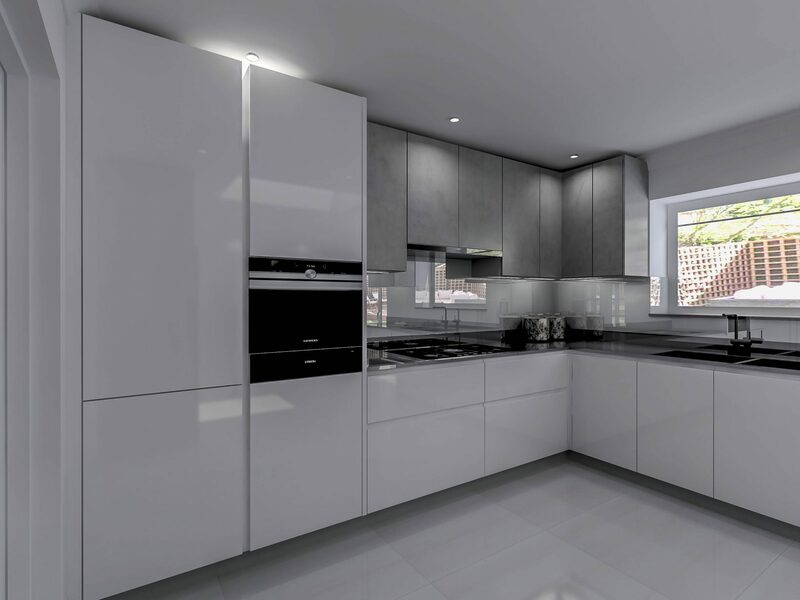 The unique smokey white colour of the splashback used in this Chalk Hill Road kitchen adds a fourth contrasting shade which completes the majestic grandeur and simplicity of the design; a design only possible by the masters at Silke Kitchens.